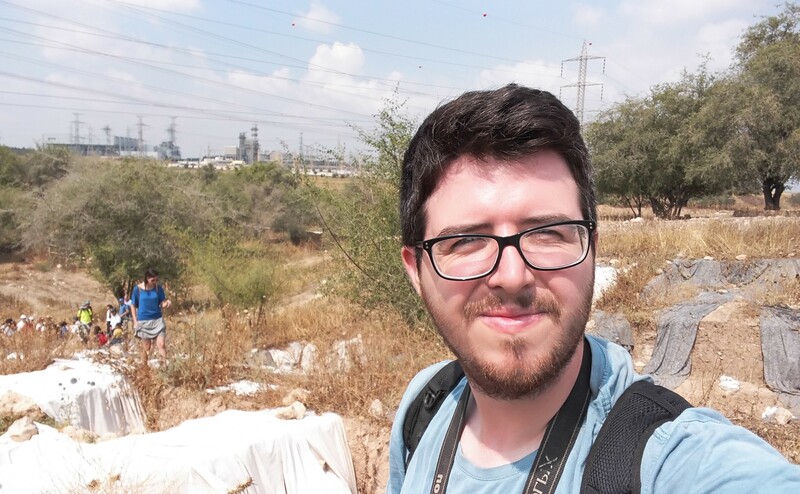 Back in June, before the bustle of the summer months began, I took part in another field trip offered by my Archaeology department at Bar Ilan University. The destinations were Philistine-oriented: the ancient city of Gath, which is known today as Tel es-Safi (where I excavated this summer) and the Museum of Philistine Culture in Ashdod, another city once occupied by the Philistines. We left the campus in the morning with our guide, Dr Amit Dagan, and made our way to the tel. 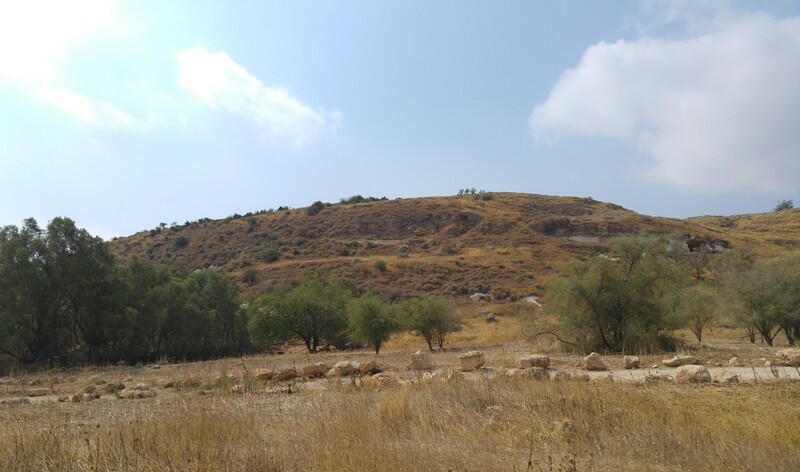 Approaching the tel from the north, I was immediately filled with nostalgic memories of the previous summer when we had so much fun excavating in Area J. I looked out at the familiar hill and wondered to myself where I’d be excavating in a few weeks when the 2018 season would begin. We disembarked at the Ottoman-era antilia well just beside the dry streambed of Nahal Elah and began the tour. 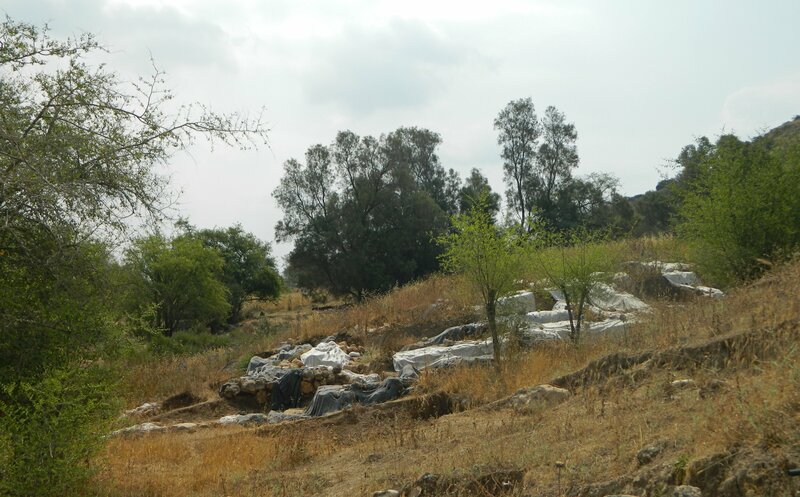 Dr Amit Dagan started lecturing about the site and I found myself wandering off in eager anticipation to check up on the excavated areas left untouched since last summer. Since the winter is the wet season here in Israel, the rains ravage the carefully excavated squares all winter long leaving Area D in a surprisingly shoddy condition. Area D is the large excavated area at the northern foot of the tel where the lower city’s walls and possible gate are being exposed. 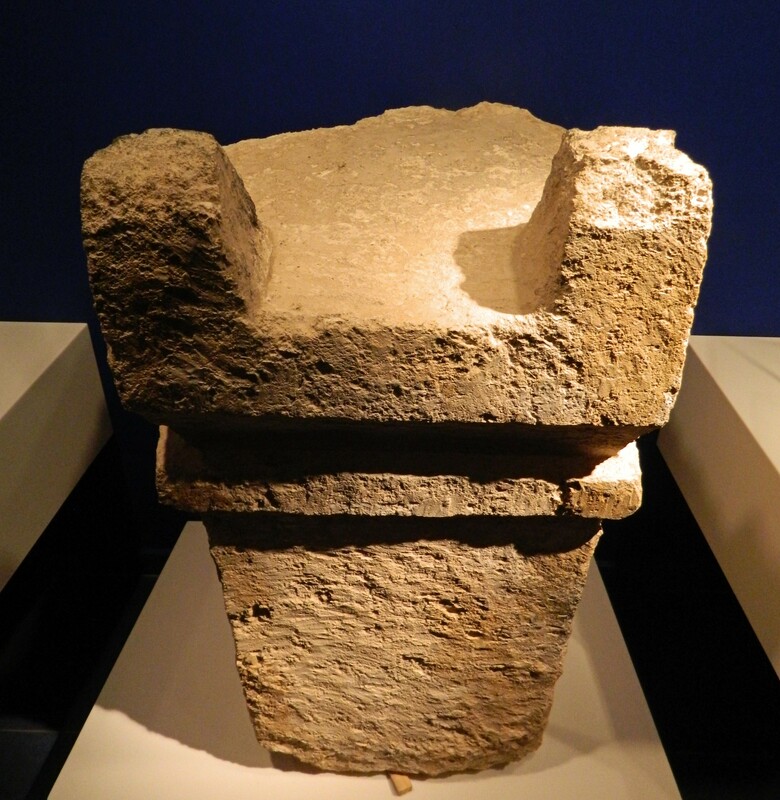 The famous two-horned altar that was discovered several years ago was found in Area D and is now exhibited in the Philistine museum that we’d visited later that day. While I was walking around the area, I noticed a large number of insects flying and hopping about me. Upon closer examination I discovered that there were loads of adult antlions in the tall grasses. 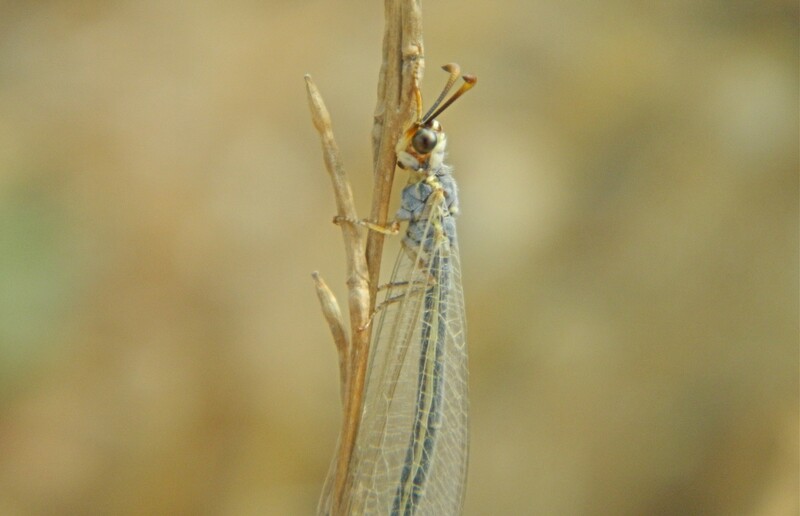 Juvenile antlions are one of the insect species I’ve come to know very well. 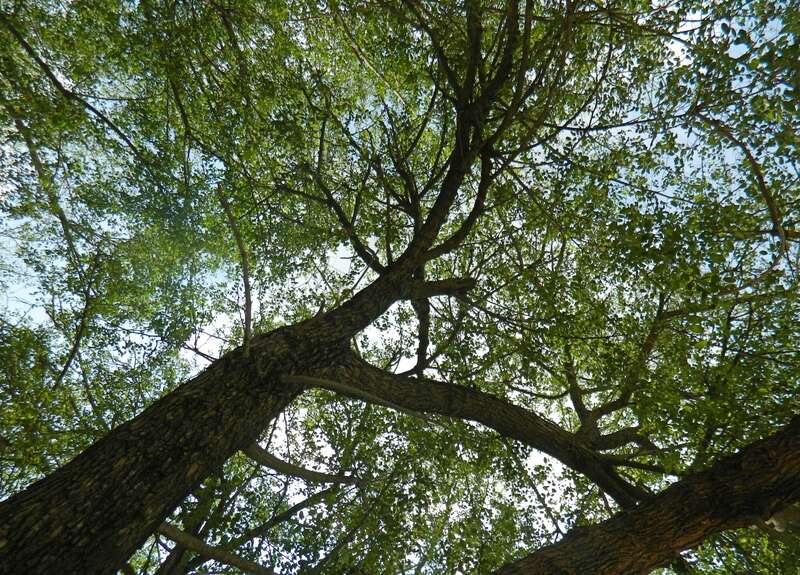 After a thorough tour of Area D, Dr Amit Dagan sat us down beneath the shade of a large jujube tree and I found myself distracted once again, this time by birds. A large number of noisy jackdaws were congregating on and around the power lines not far from the streambed. But then I heard a bird call that struck me as odd. It was coming from the direction of the tel, yet I couldn’t find the culprit, even with the aid of my megazoom camera. The call was repeated several times, and I racked my train trying to identify it. Even using the renowned Collins Bird Guide app on my phone – with its featured bird call recordings – I was unable to identify this mystery bird. At last, just as we were getting up to leave, I saw a medium-sized bird fly out of a nearby tree. My camera was focused on it in an instant, and I captured a photograph of it as it made a short flight to another tree near the streambed. A couple more photos of it perched and I felt sure that I’d be able to identify the bird on my camera display screen. Sure enough, the mystery bird was a juvenile great spotted cuckoo – a species I had only seen once before, just a few kilometres away from the tel the previous year. Excited by this sighting, I was in good spirits as we got into our bus and began the drive to our next destination: the Museum of Philistine Culture in Ashdod. An even more exciting sighting was about to happen, and I was completely caught off guard. We were slowly driving down the access road and I looked idly out the window at the scenery passing before me. Suddenly, I noticed a dog-like figure at the edge of a field, backdropped by some untamed shrubbery. There wasn’t enough time to grab my camera or my binoculars; I had only mere seconds to make an identification and time was of the utmost essence. I had been stricken by a feeling that I was looking at a very elusive and exciting member of the Carnivora order, but I needed to be sure before I dared utter its name. I was unable to make a definite identification but I’m quite sure that I had seen a striped hyena, an apex predator that I had only seen once before (and at night). From that exciting sighting, I was all worked up by the time we reached the museum in Ashdod. 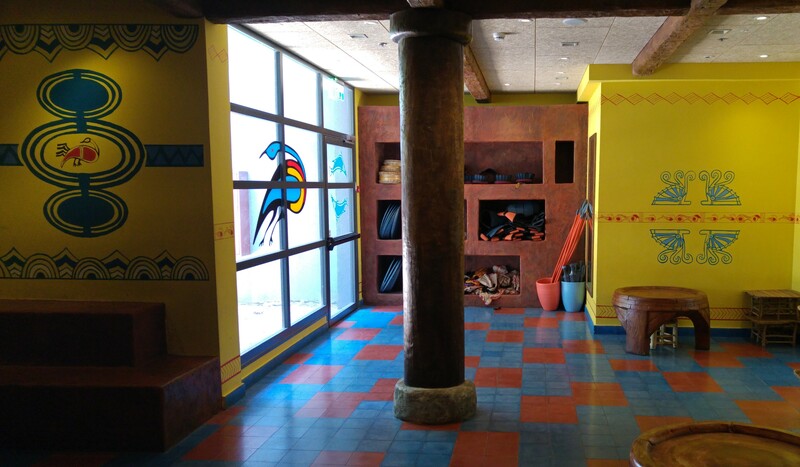 Thankfully, the museum was exciting and captivated our attention from the moment we entered the well-decorated interior. 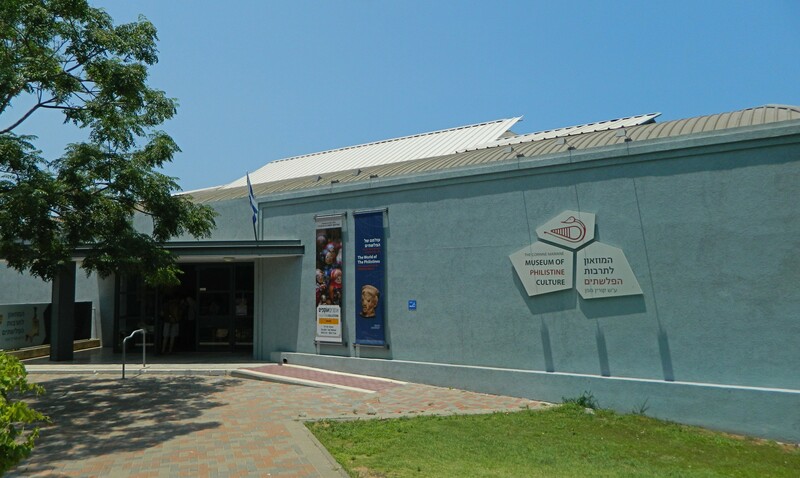 Having opened in 1990, the museum is the only museum in the world dedicated to the Philistines, a group of sea-faring people from Europe who settled in the Levant in the Iron Age (over 3000 years ago). Inside we walked about, looking at the displayed artefacts and keeping an eye out for pieces found at Tel es-Safi, our Bar Ilan site. 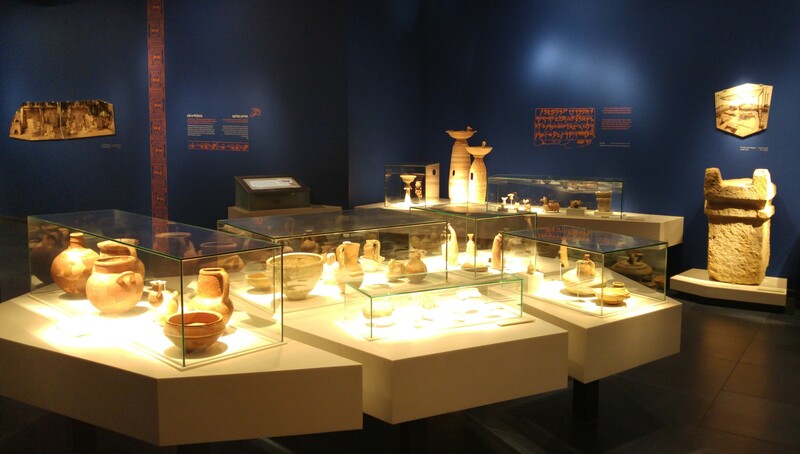 We examined the ceramic vessels, especially the ornate painted Philistine pottery that we’ve come to know firsthand. Having taken some ceramics classes this year, I was keen on identifying the displayed vessels on my own, excited to find parallels to the typologies we learned in class. Dr Dagan began to speak about the emergence of the Philistine culture in the Levant and the geographical importance the region of Philistia had in the ancient times. 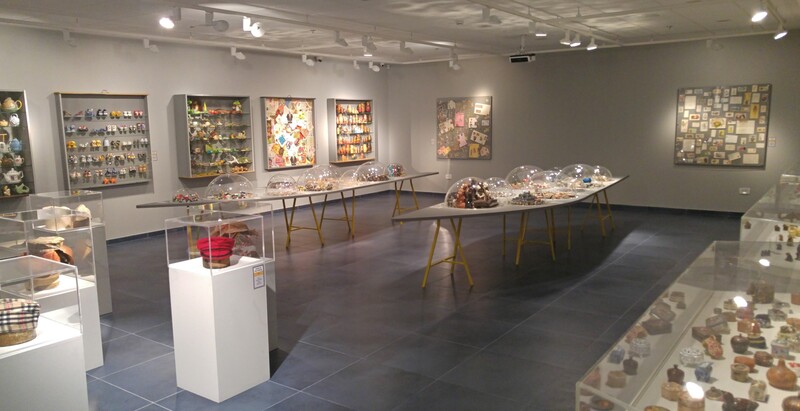 As he spoke he moved from one part of the museum to the next, the topical exhibits highlighting his mini lectures. One thing that amused us was the interactive screen featuring a brief history of Gath (or, Tel es-Safi) with a picture of our own Prof Aren Maeir sharing a moment with a zoomorphic special find during one of the excavation seasons. Speaking with the museum guides, I was informed that there is more to see downstairs: a room of Philistine costumes mainly geared toward kids, and a temporary exhibition featuring the collections of select Ashdod area residents. I glanced about the fun room, successfully fighting the urge to dress up like a Philistine, and then began to peruse the collections exhibit. I found several that interested me, including collections of owl figurines, Russian nesting dolls and fancy metal pencil sharpeners. There were a lot of collections to go through, over forty in total, and I was nervous that my group would spontaneously finish upstairs and leave without me. 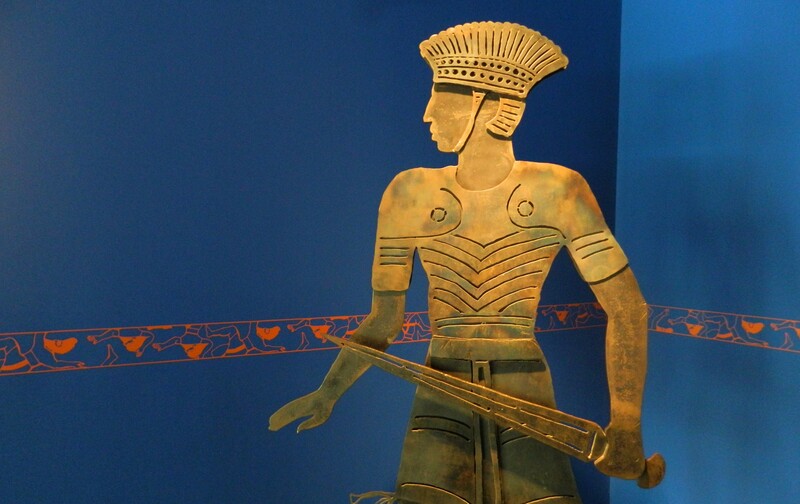 So, I rejoined them in admiring the Philistine culture via the museum exhibitons until we were ready to go. Friday trips are always shorter to accommodate the busy pre-Shabbat schedules, but all-in-all we had a great Philistine-filled field trip.